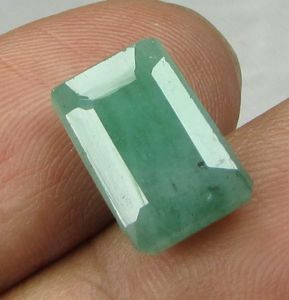 This is fully natural emerald gemstone from Colombia. 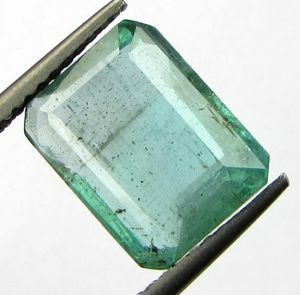 The gem is of fine cutting with no heated or treated process. 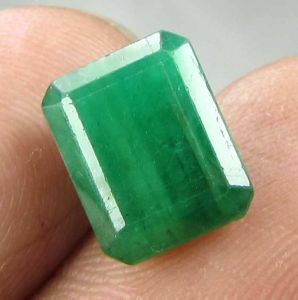 Emerald is the gemstone for planet Mercury as per vedic astrology. As the name suggests, there can be a mercurial rise in life. Wearing an emerald brings in intellectual progress and helps in enhancing this planet power and brings in better understanding of life, a balanced perspective and one can see an spurt in creativity and artistic talents and ability to innovate better. 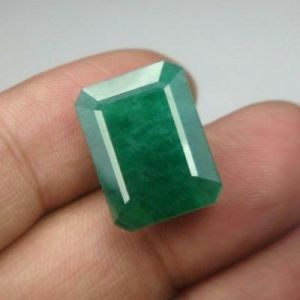 Wearing an emerald can help in better communication skills. As for medicinal benefits this gemstone can help with speech difficulties, respiratory troubles, allergies and nervous disorders. 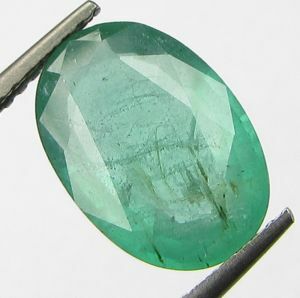 Product Specification Origin of Gemstone - Colombia Carat Weight - 6.52 Shape/Cut - Oval Color - Green Treatment - As mentioned on the certificate. 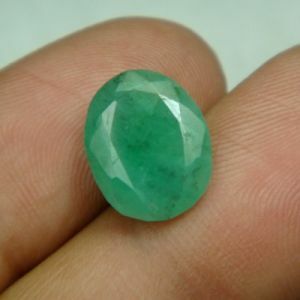 Notes 1) The photo gives a good representation of the Gemstone but does not represent the actual size, shape & color. 2) You might find slight difference in color due to difference in lighting conditions & difference in resolution of Cameras. Color may not appear exactly as in real life due to variation between computer monitor resolution and lights. 3) Please use both, photos & the brief written description to form your opinion. 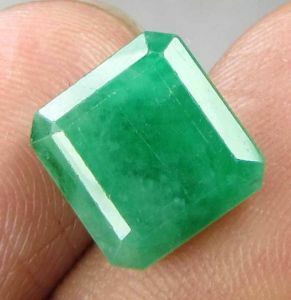 4) It is a 100 % genuine & real Emerald / Panna. NOTE: We will like to clarify that as these are all Natural Gemstones and are found under sea or earth after going through lot of Chemical Changes after millions of years. So it's natural that all stones will have Inclusions which are included inside the stone. They can be Black Spots, Dark Included Crystal, Included Crystals, and Feathers spreaded all over, Pinpoints etc all over stone on different locations. Now let's come to Blemishes all stones are bought in bulk and while they are together they get blemishes over them. Blemishes are not cracks. They are just a part of scratches over the stone which can be removed with re-polishing of gemstone and it does not affect the working efficiency of gemstone.